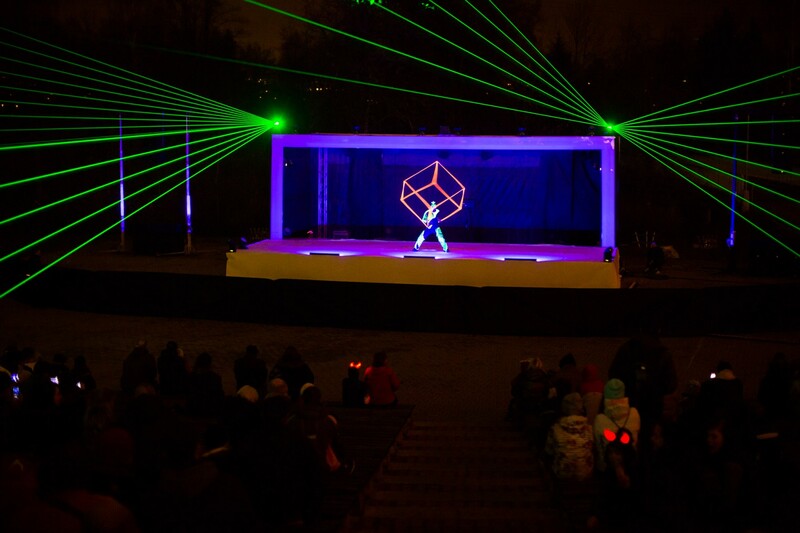 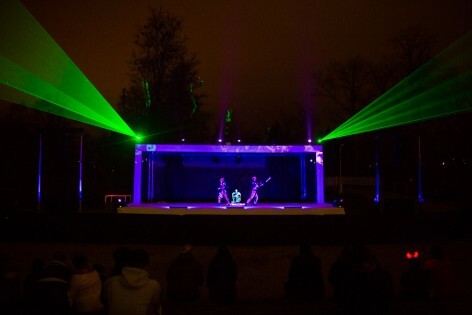 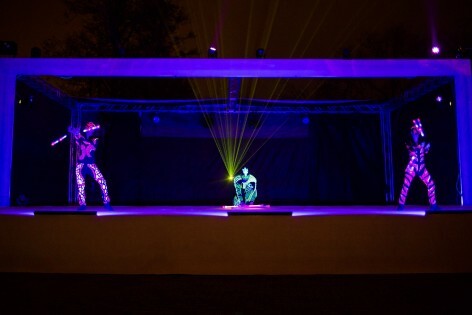 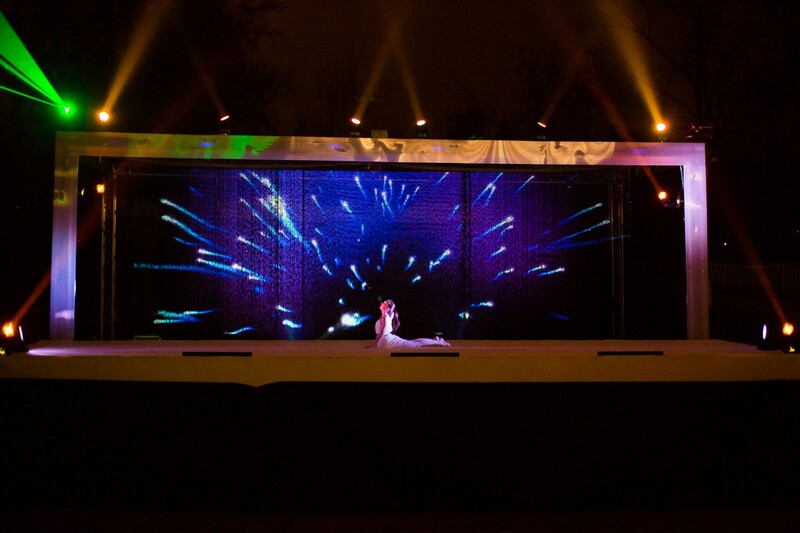 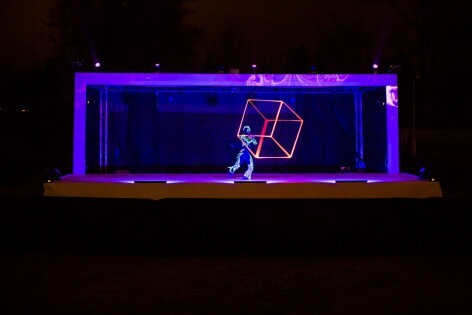 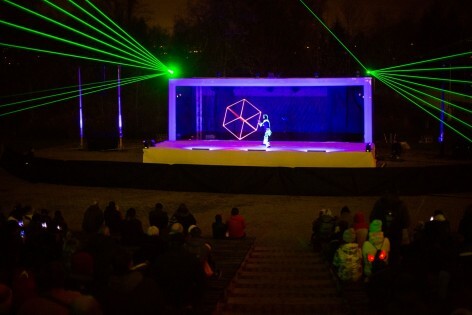 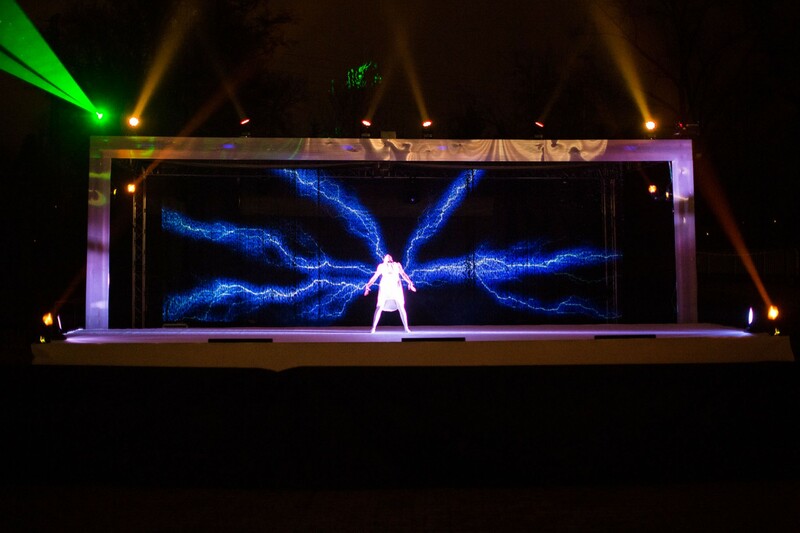 To celebrate the seventh birthday of the Plzeň Plaza shopping centre, we prepared a multimedia stage/scene in an open amphitheatre with a dominant in the form of a nine-metre-wide indoor water screen. 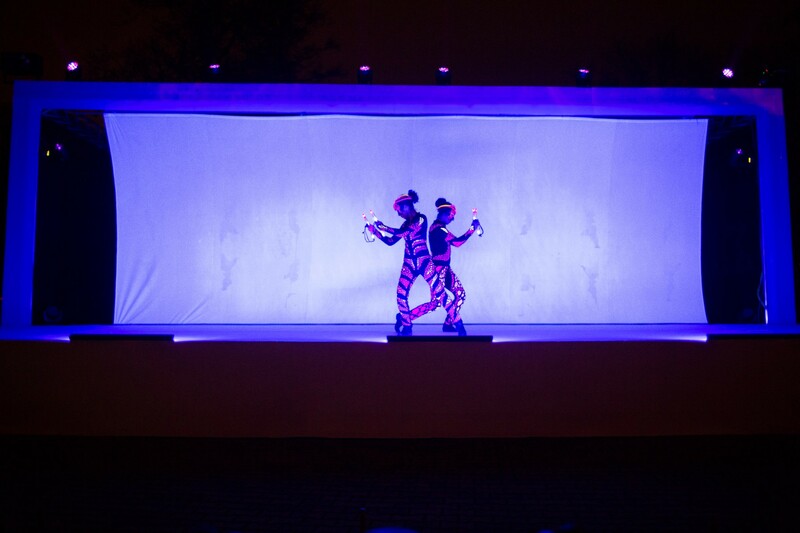 Throughout the first half of the show, this screen was covered by a falling curtain, which revealed dancers in special UV suits after it was dropped. 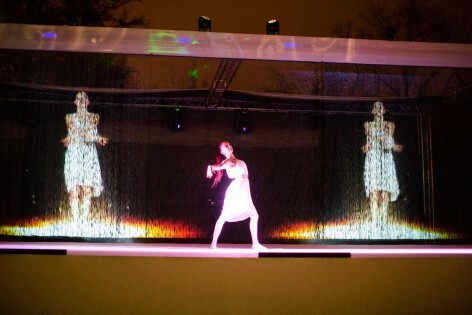 The main part of the show was designed as a performance of an acrobat and animations synchronized with her choreography, projected onto the impressive water screen. The end of the show was traditionally reserved for the fireworks.